Here we worked with local residents affected by the conflict in the north of Ireland. participants liaised with our team to design the 'Remembering Window'. The window includes the names of all the people of the area who were lost to the conflict. These are subtly placed within the oak leaves symbolic of the city. 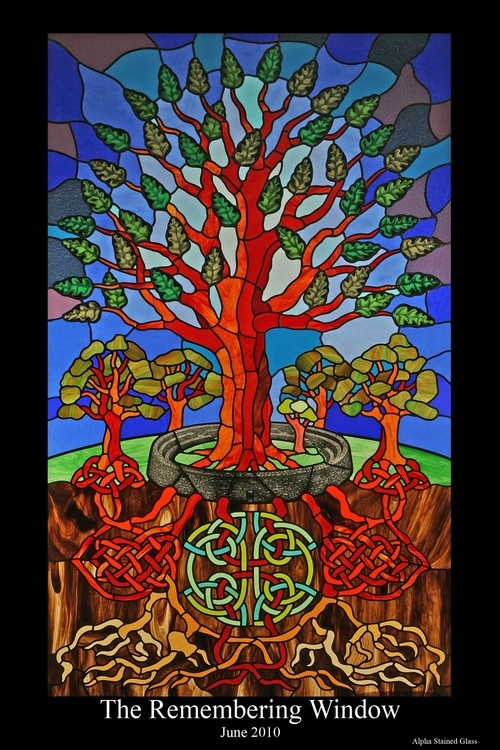 Our team has also facilitated workshops with families affected by the Omagh bomb, which culminated in the production of four stained glass windows. These were installed in settings significant to the the families of the victims. These were: Omagh library, The Diamond Centre - Claudy, Scoil Íosagáin - Buncrana and the University of Madrid. Our most recent workshop was facilitated in collaboration with the 'Borderlinks Project'. This saw two groups of young people coming together to design and create their own light-catchers as well as two larger scale pieces to be displayed permanently in their respective community youth centres. The workshops were well received by the young people, who produced some beautiful work. Photos to follow.